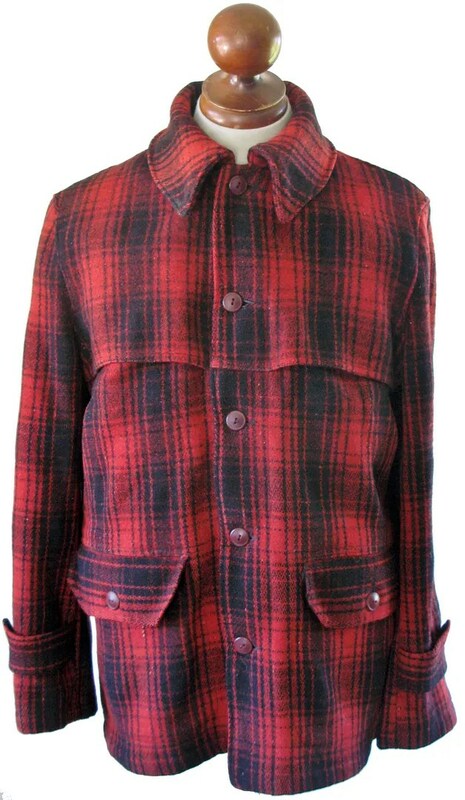 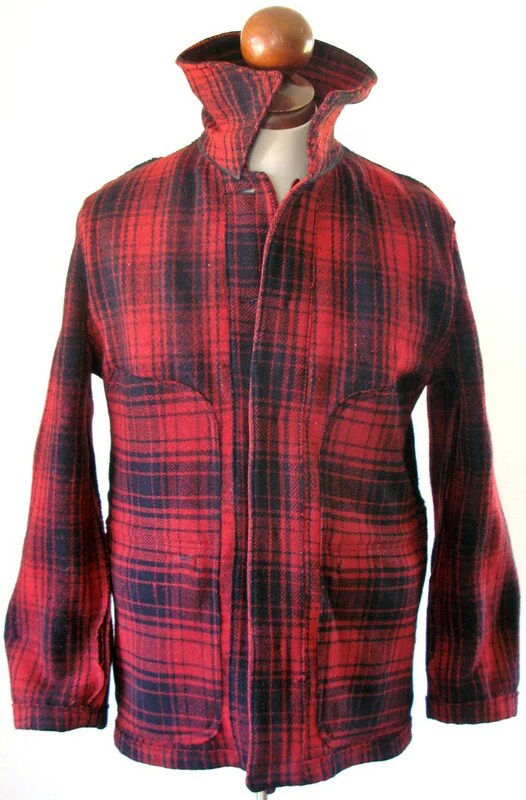 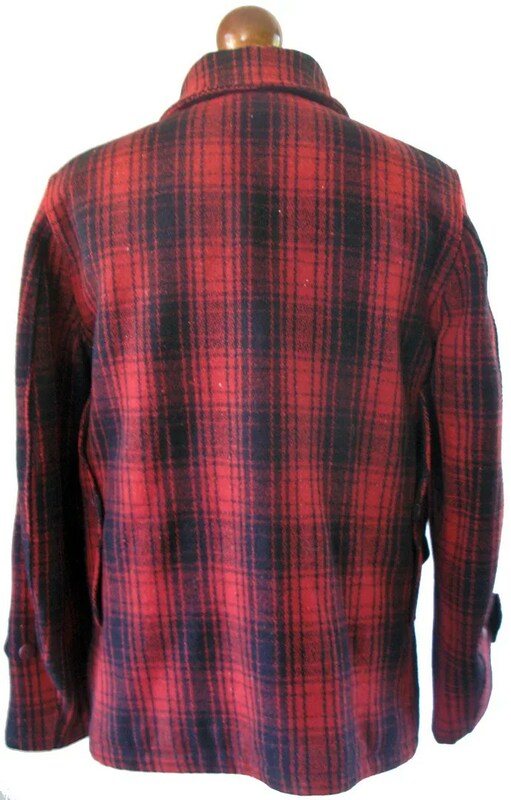 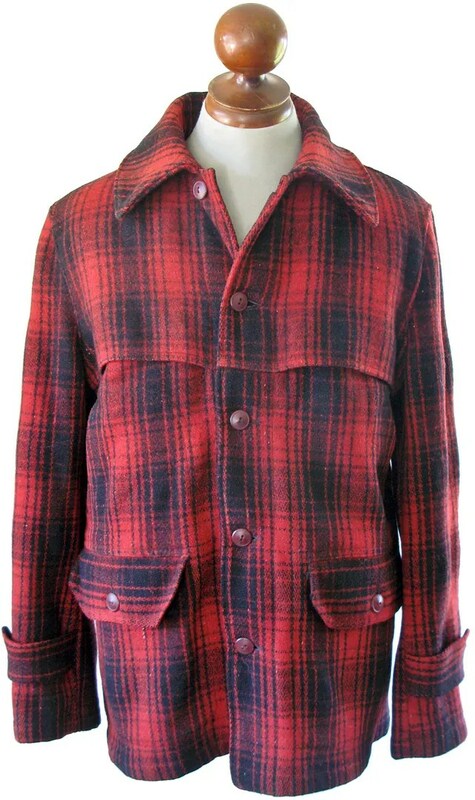 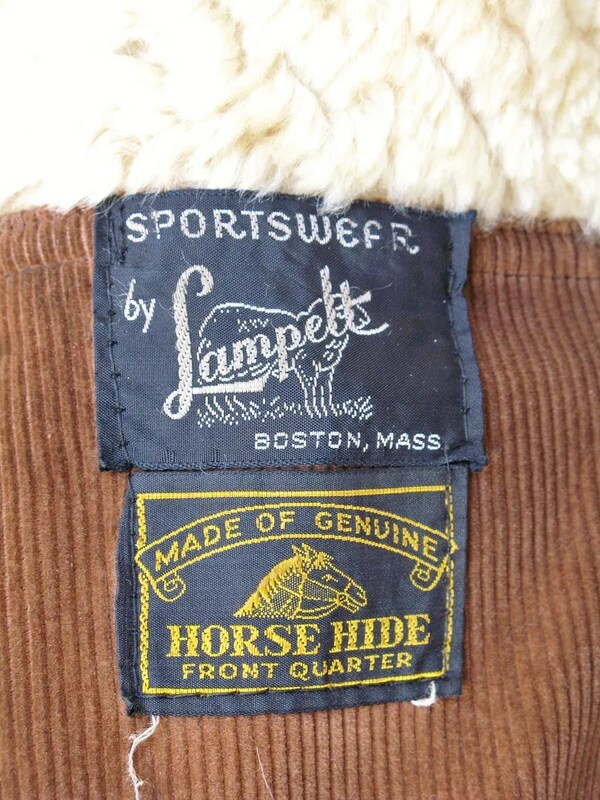 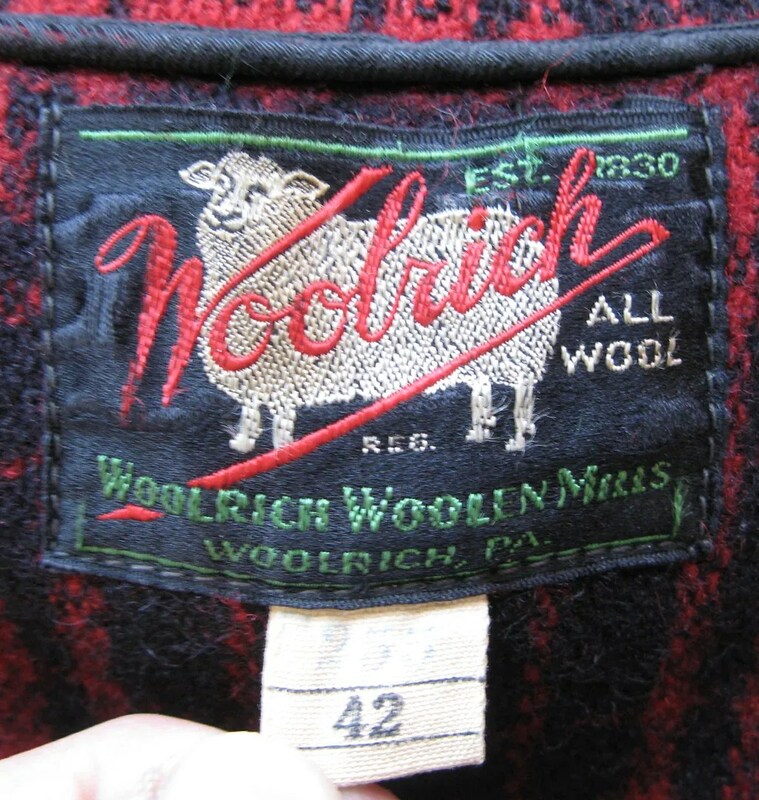 This vintage jacket was made in the mid to late 1930s by the Woolrich Woolen Mills of Woolrich, PA. 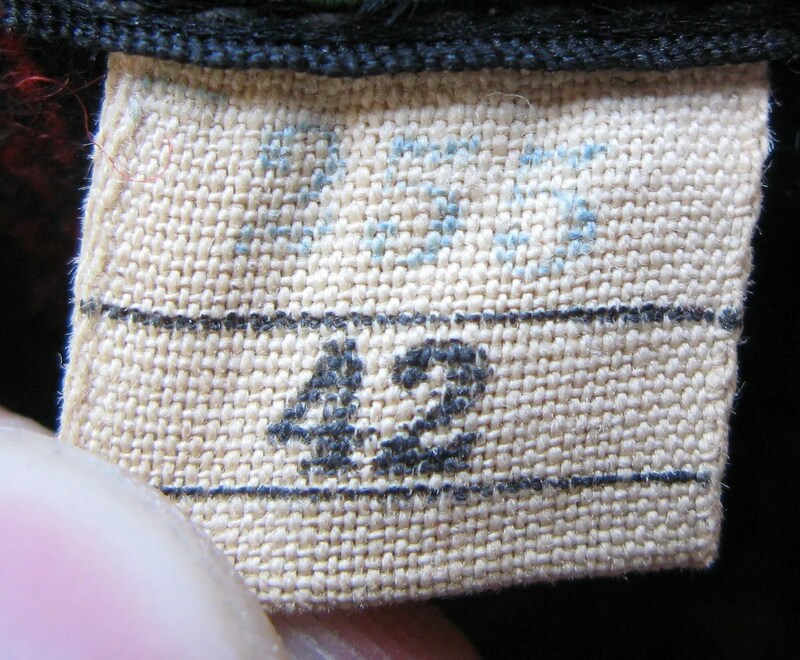 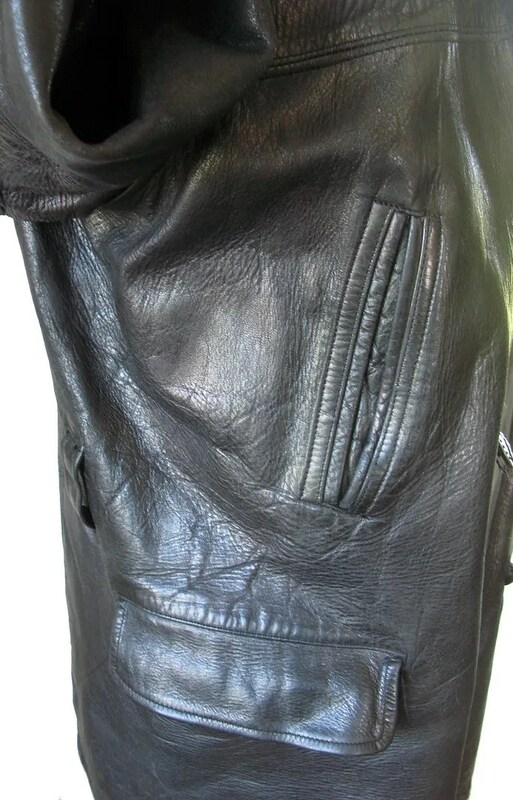 This is the rare 255 model, with caped shoulders, handwarmers with D-pocket stitching and flapped cargo pockets. 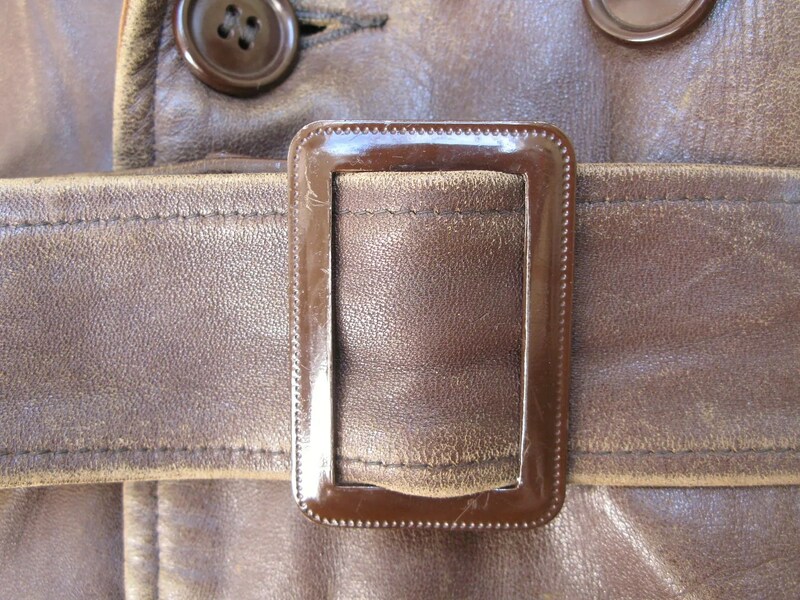 It has exposed buttons and a rear game pouch. 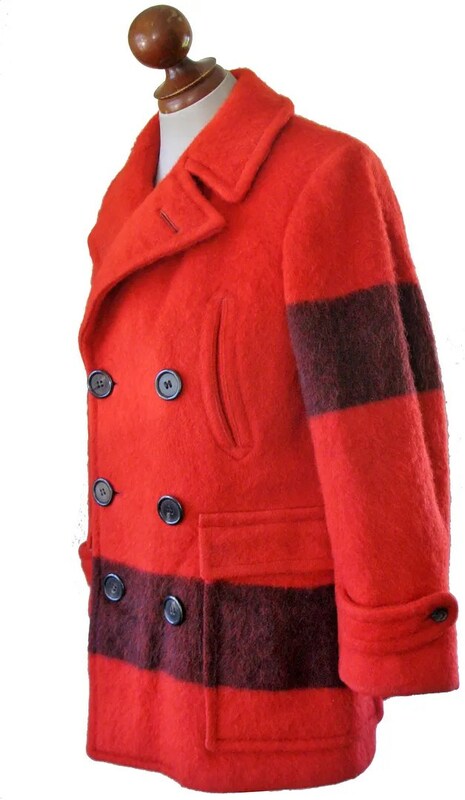 The coat, in keeping with many early mackinaw coats, is unlined. 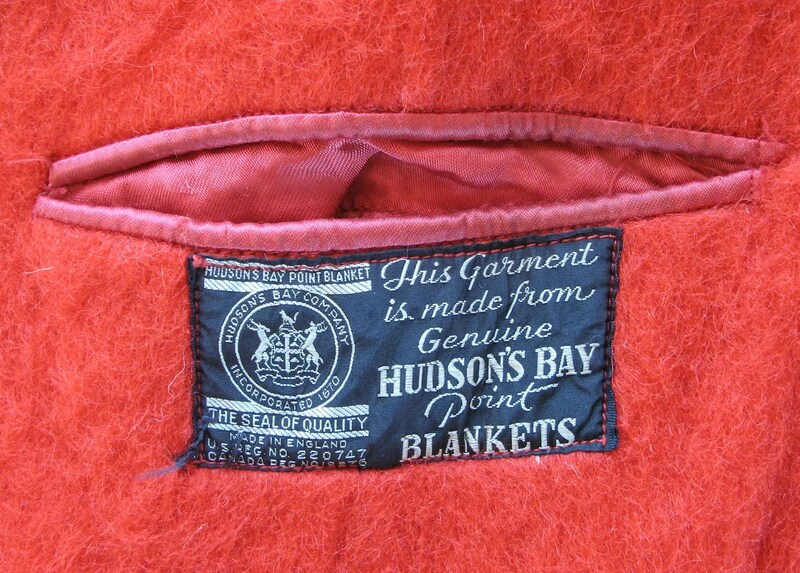 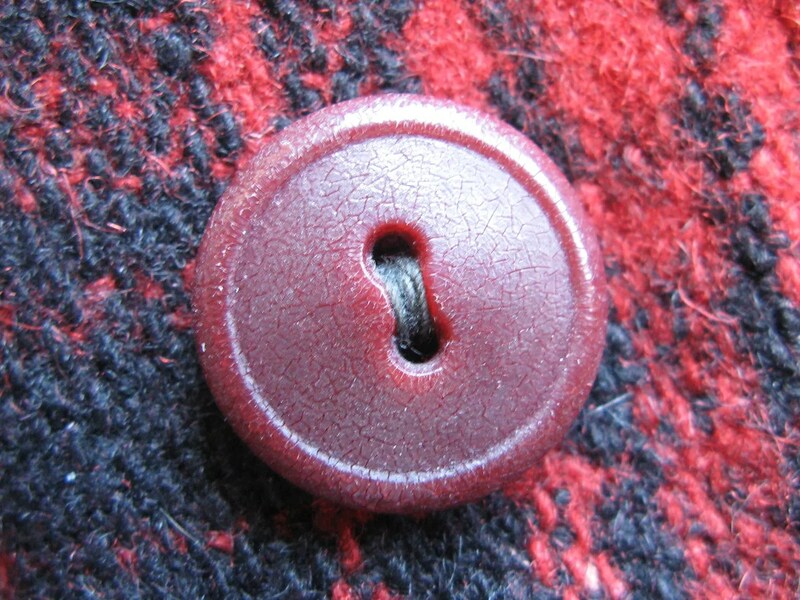 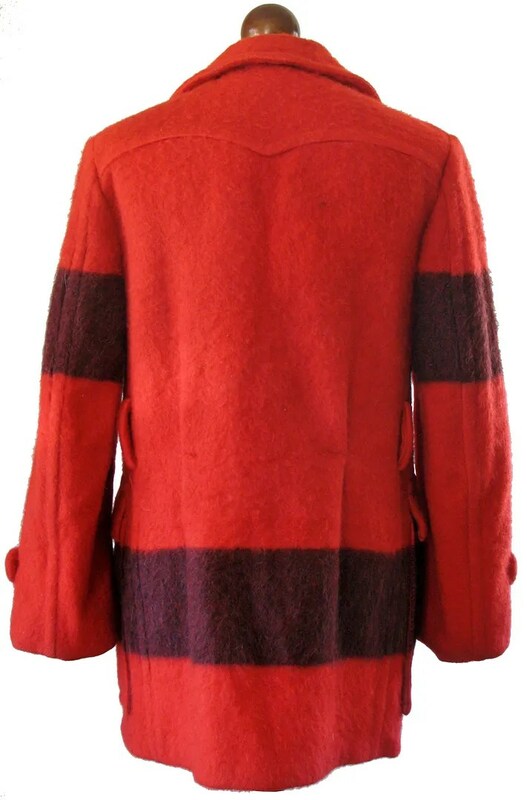 This vintage coat was made c. 1937 from Hudson’s Bay Company point blankets. 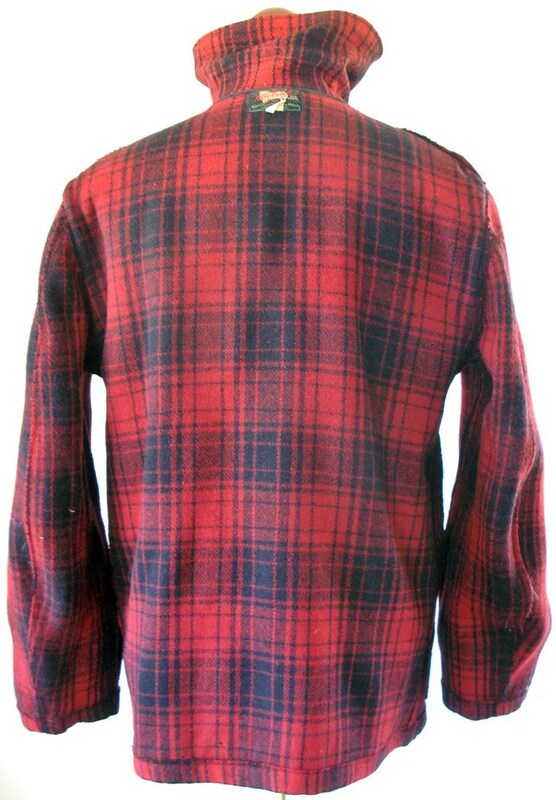 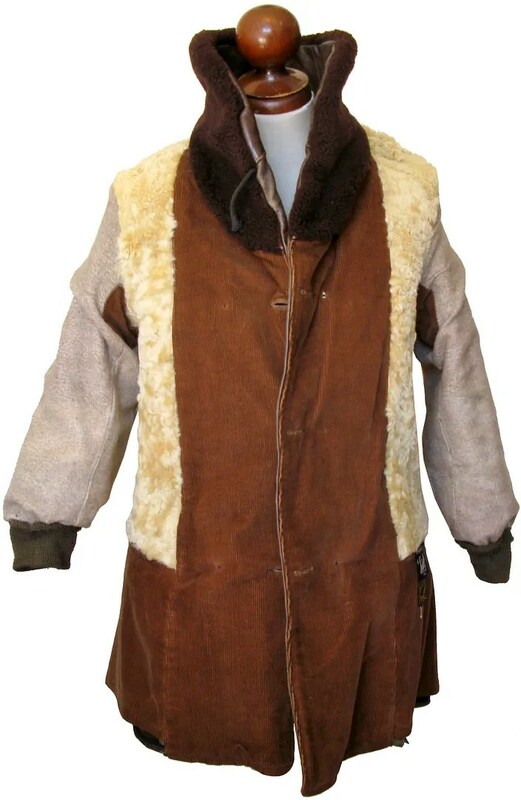 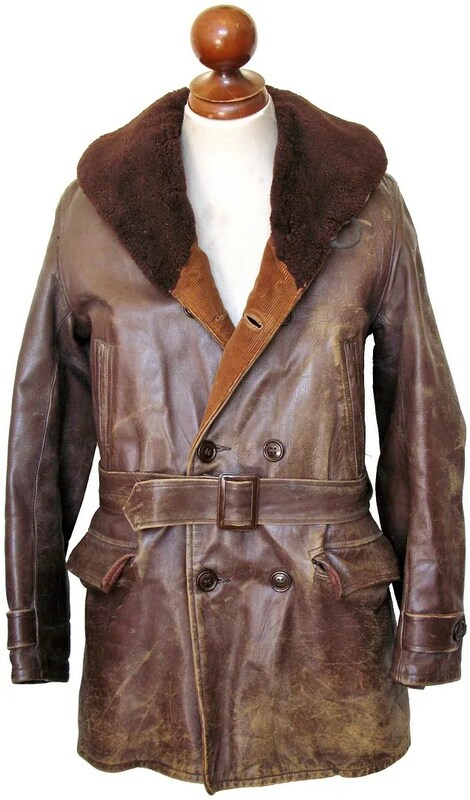 The coat is a classic late 1930s double breasted mackinaw cut, with flapped patch cargo pockets and slash handwarmers with arrow reinforcement stitching. 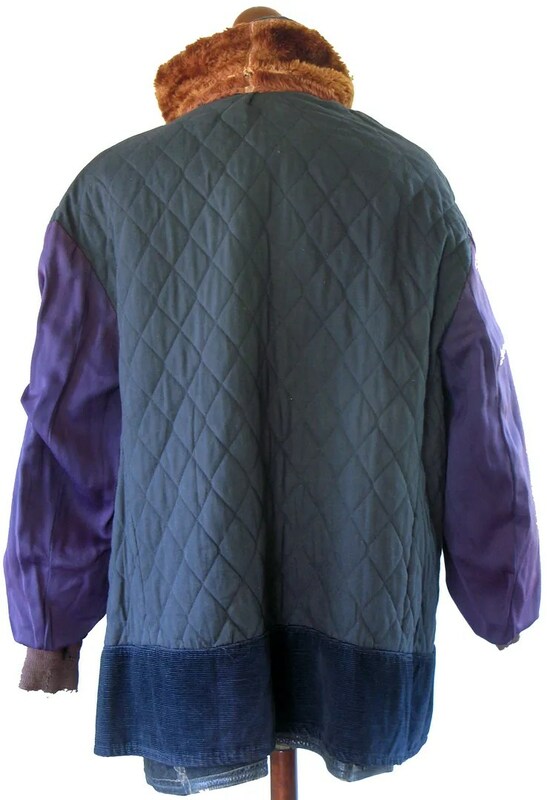 The back has a scalloped yoke and pleated back. 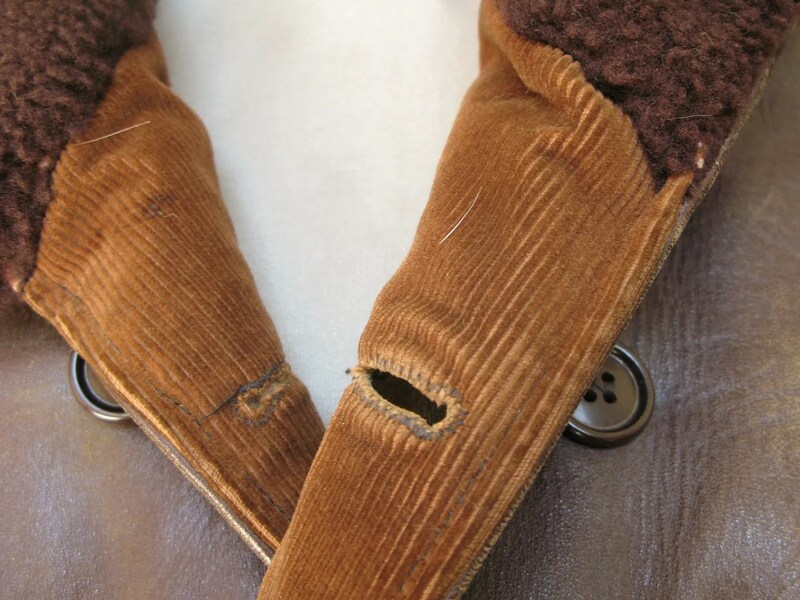 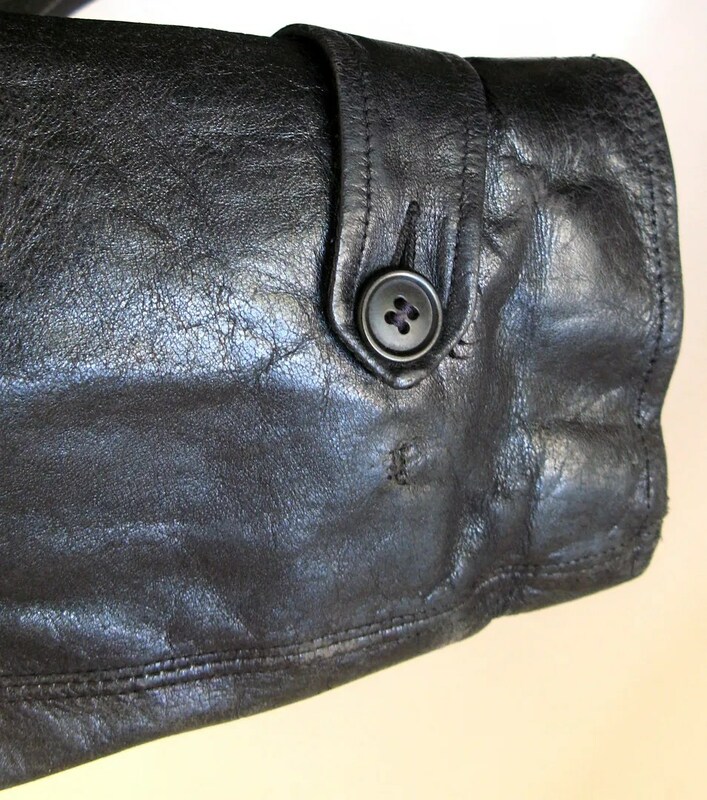 The cuffs have buttoned adjusters. 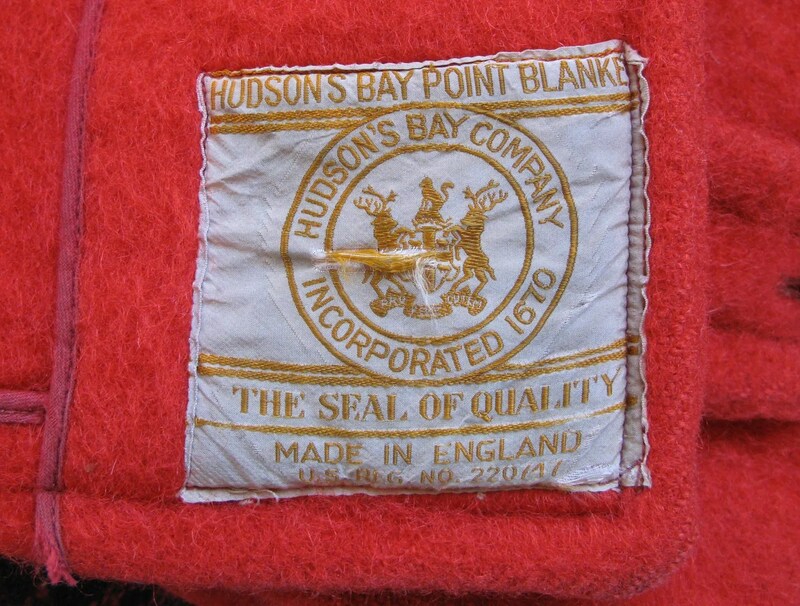 Inside are two different styles of Hudson’s Bay label, which help with the dating. 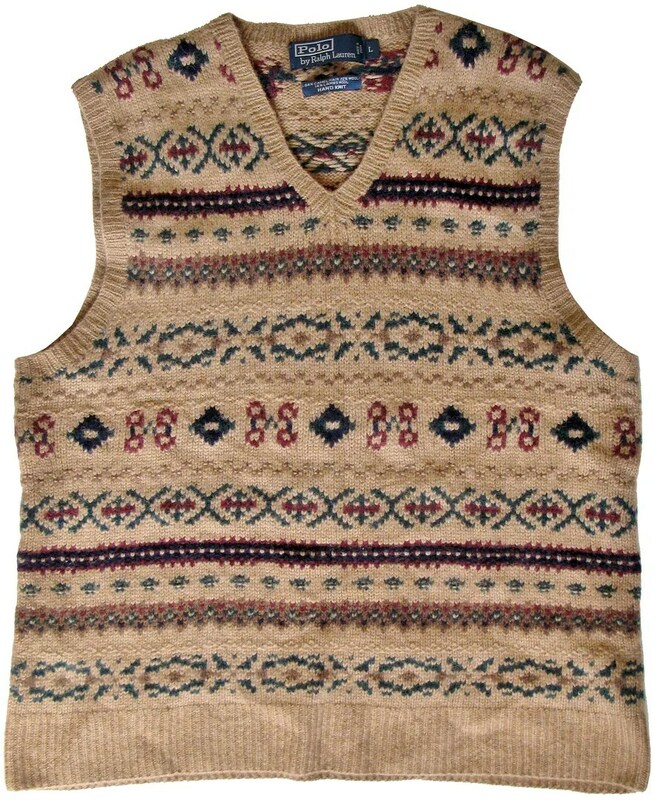 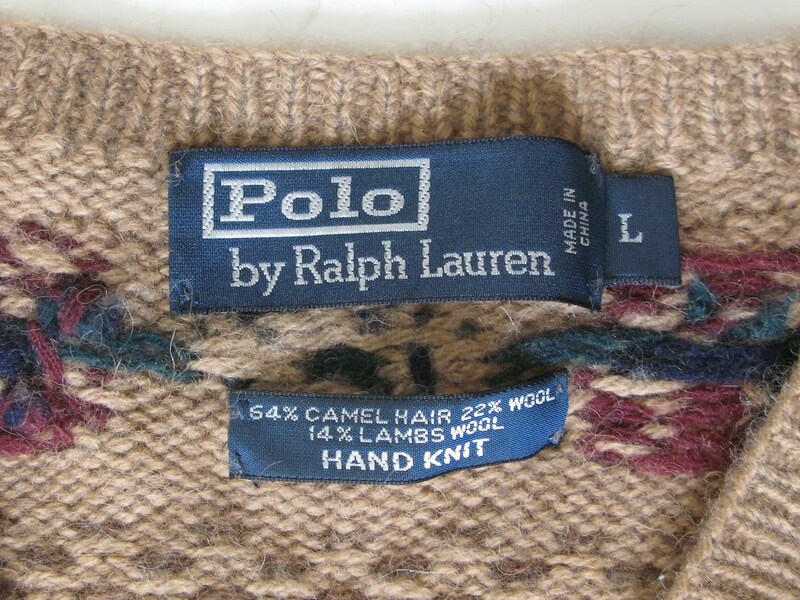 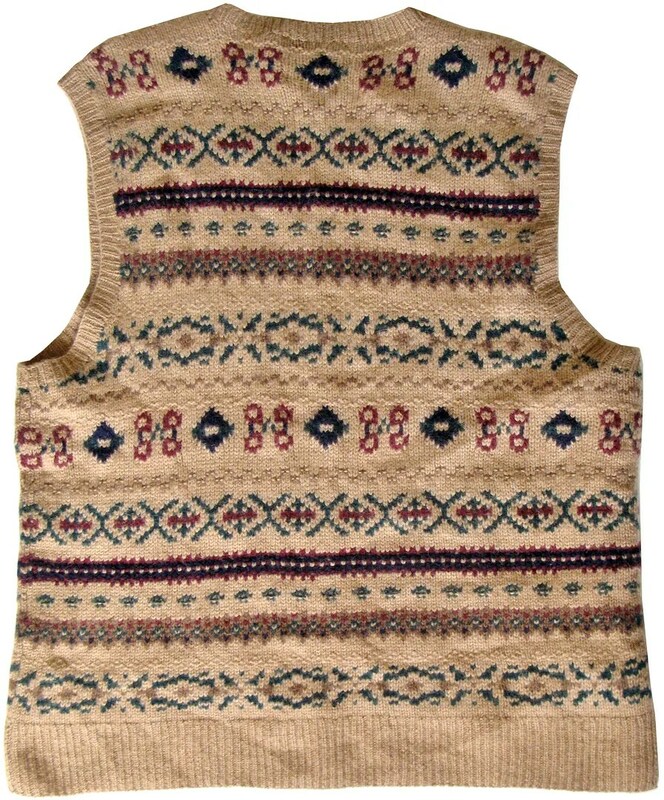 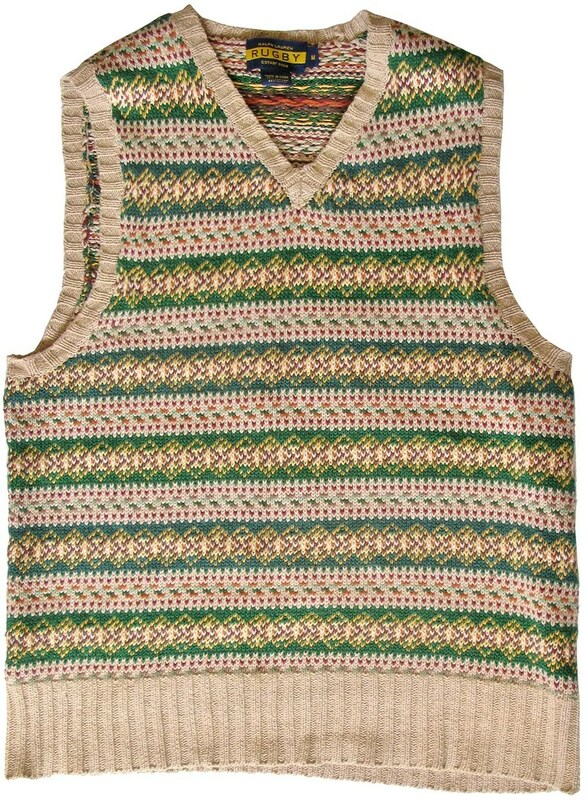 This vintage style fair isle pullover sweater vest was made by Ralph Lauren as part of their Polo line. 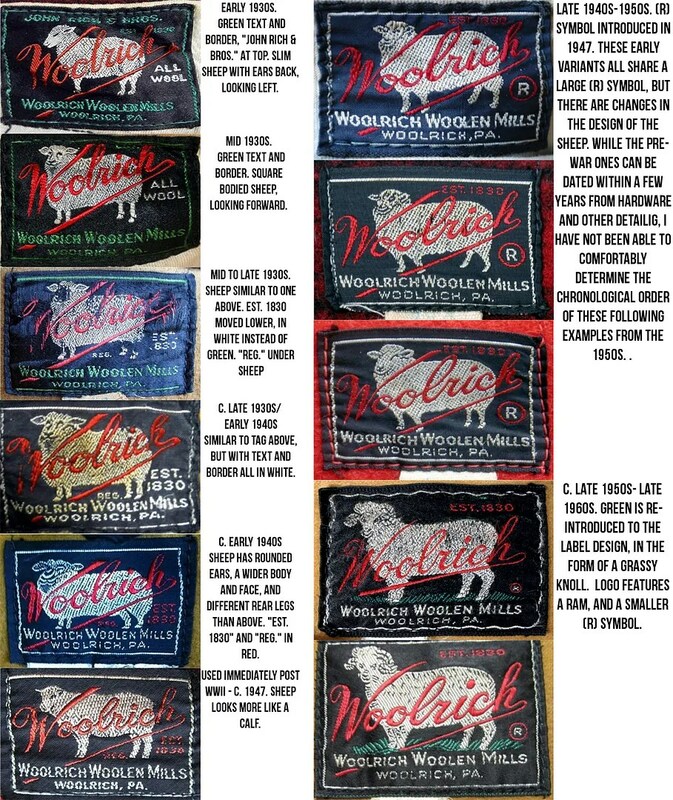 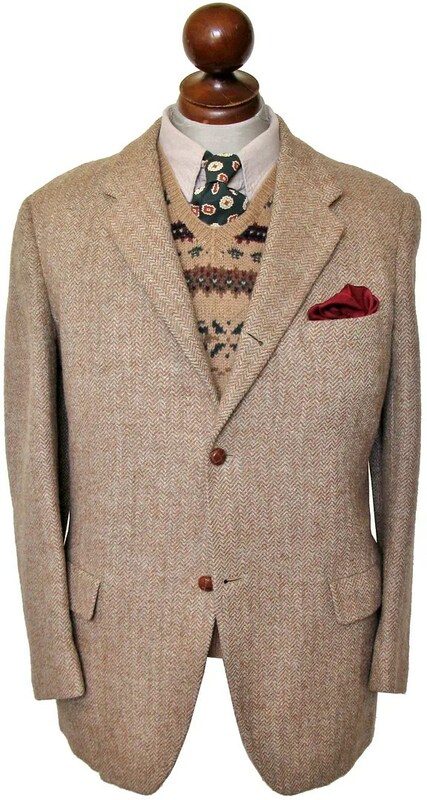 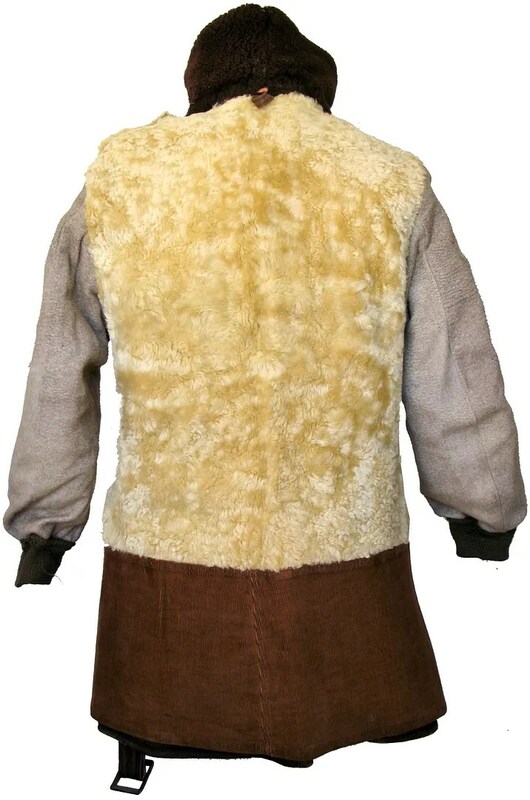 It is made of a camel hair, wool and lambswool blend. 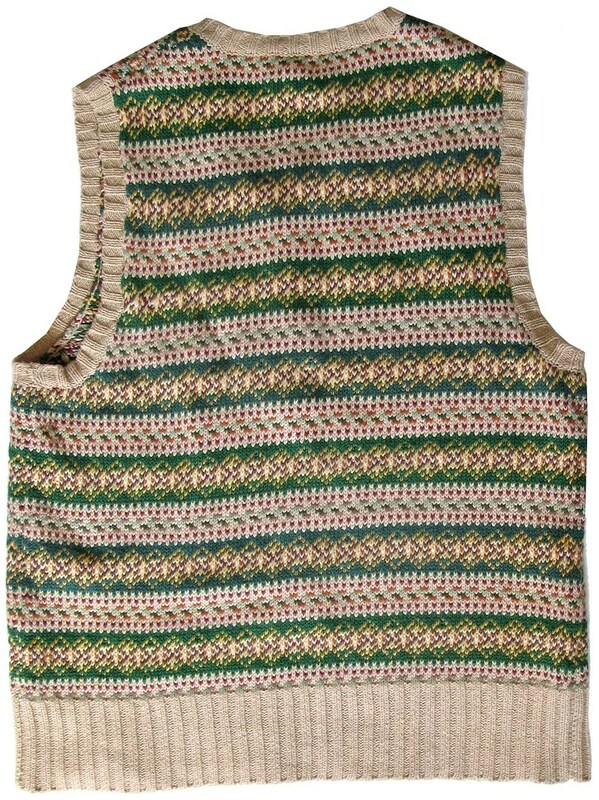 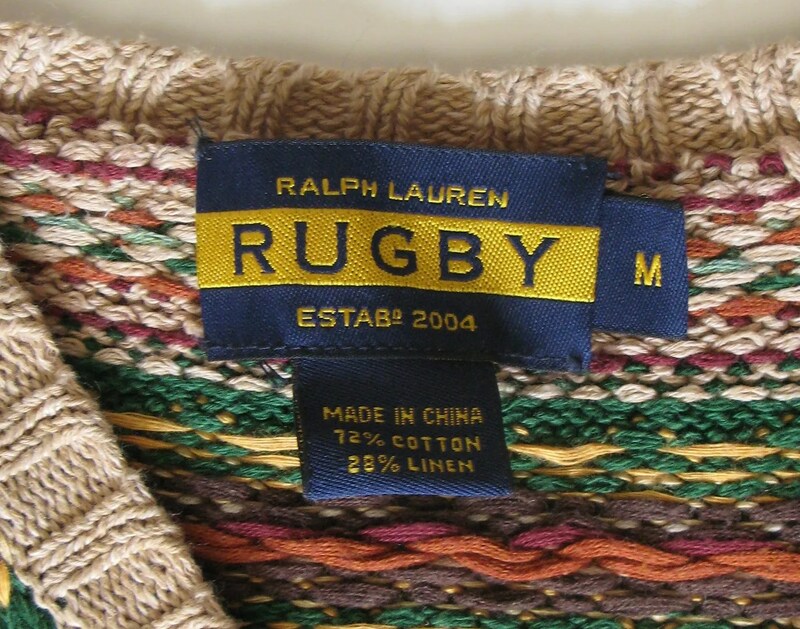 This vintage style fair isle pullover sweater vest was made by Ralph Lauren as part of their now discontinued Rugby line. 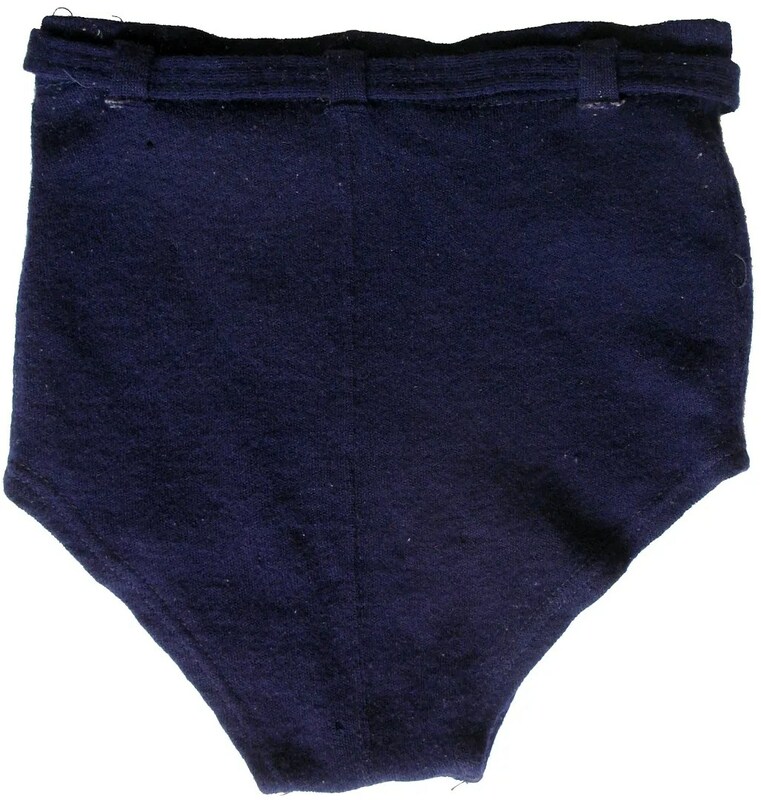 It is made of a linen and cotton blend. 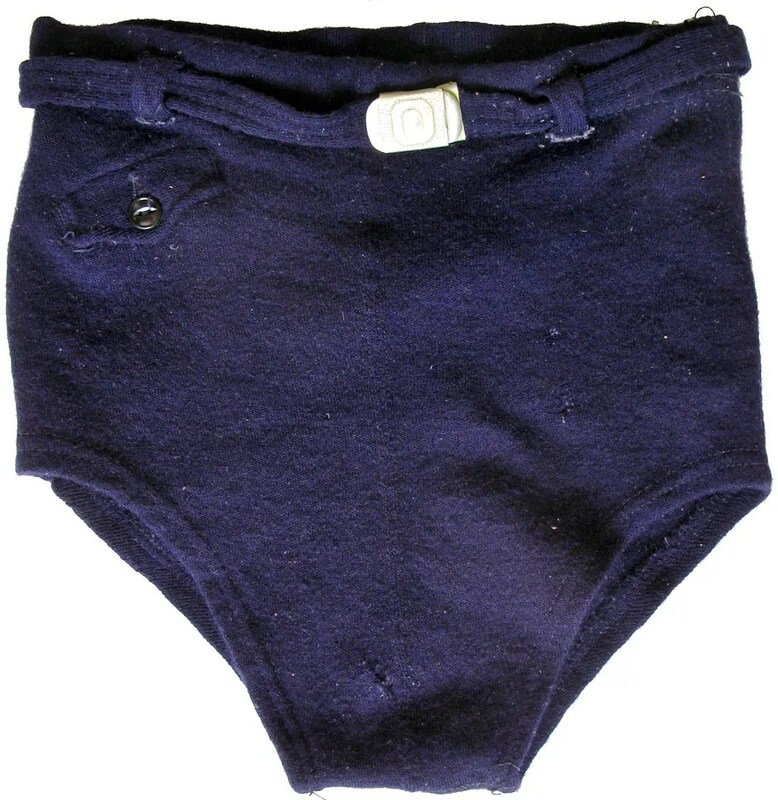 This vintage swimsuit is made of wool. 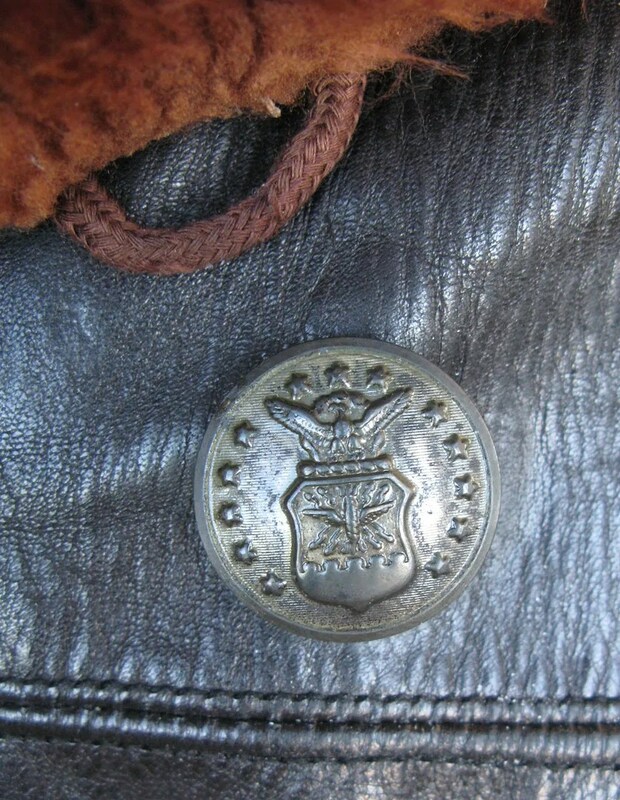 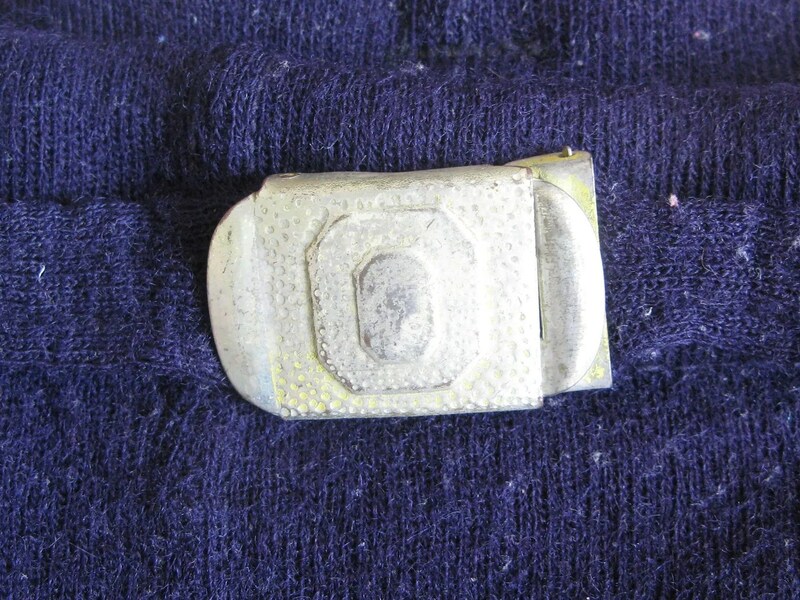 It has a wool belt with a hammered texture buckle. 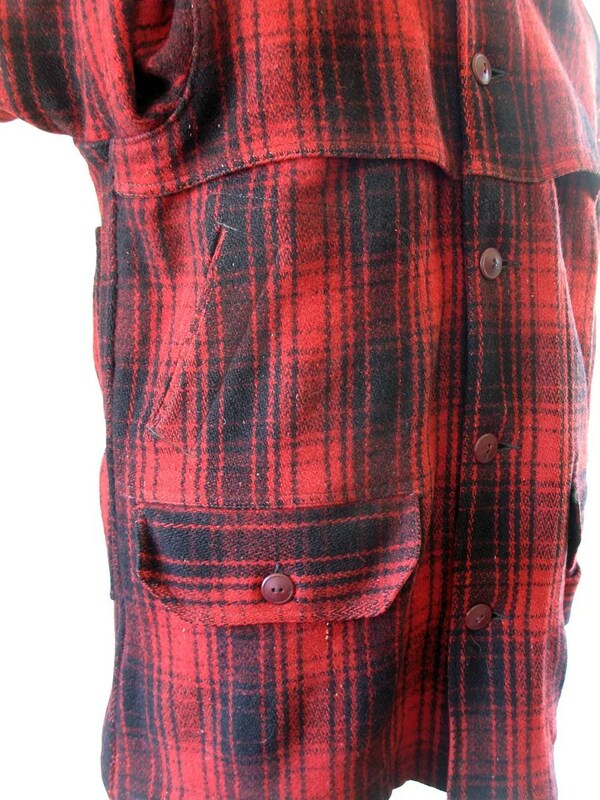 There is a flapped coin/key pocket, and a built in supporter. 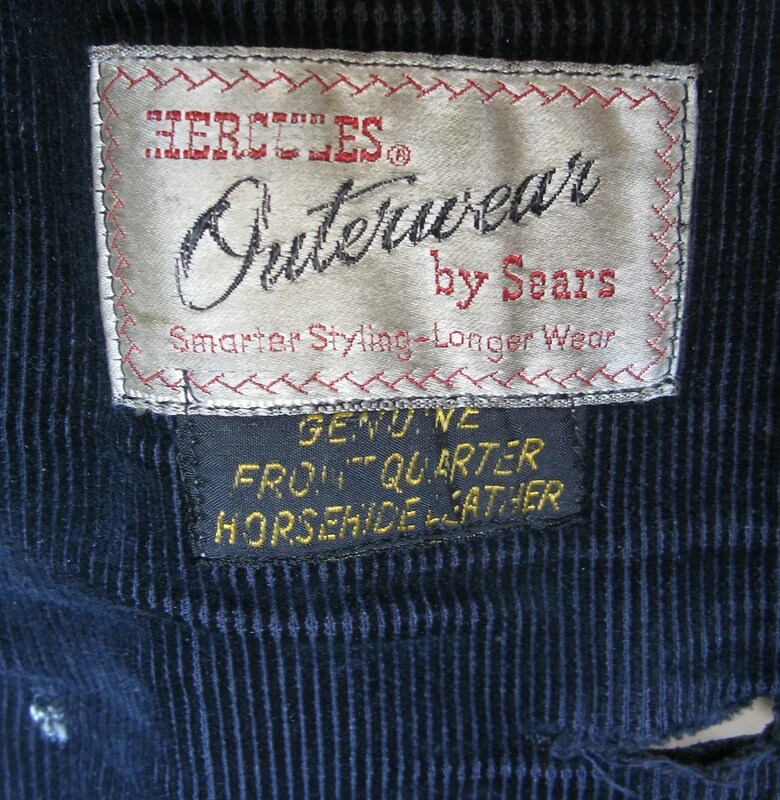 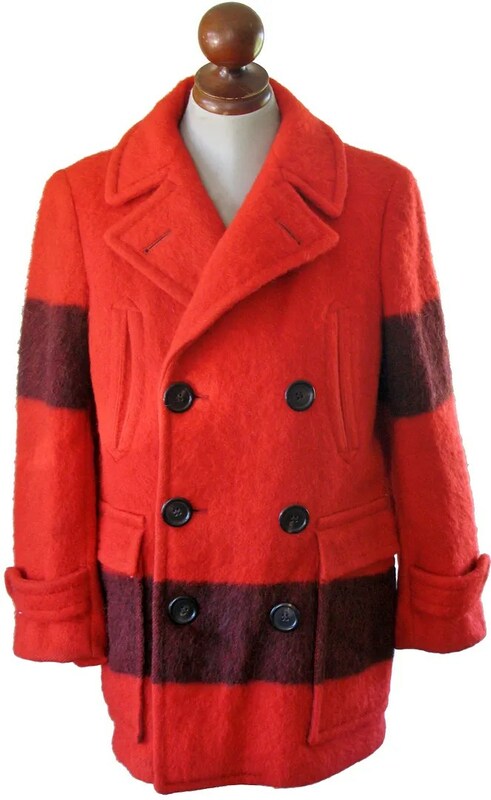 This vintage coat was made for Sears in the 1940s and was sold under their Hercules workwear label. 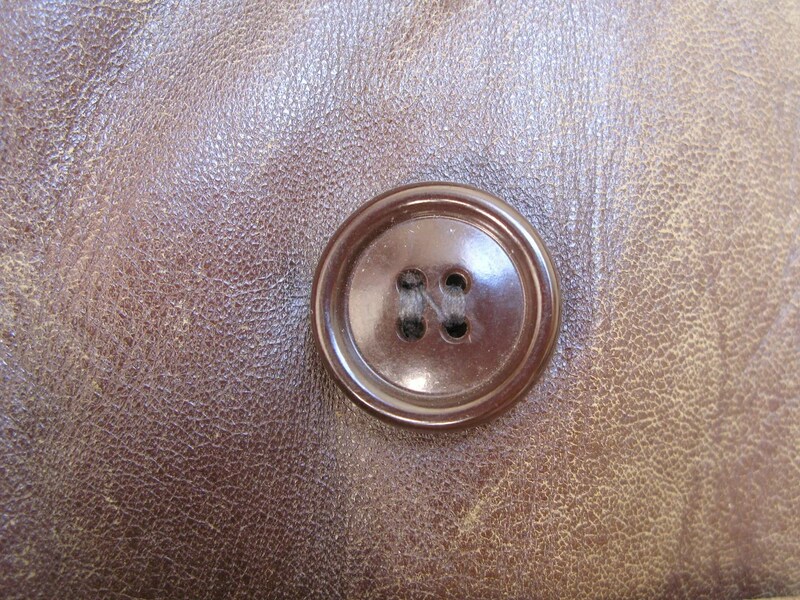 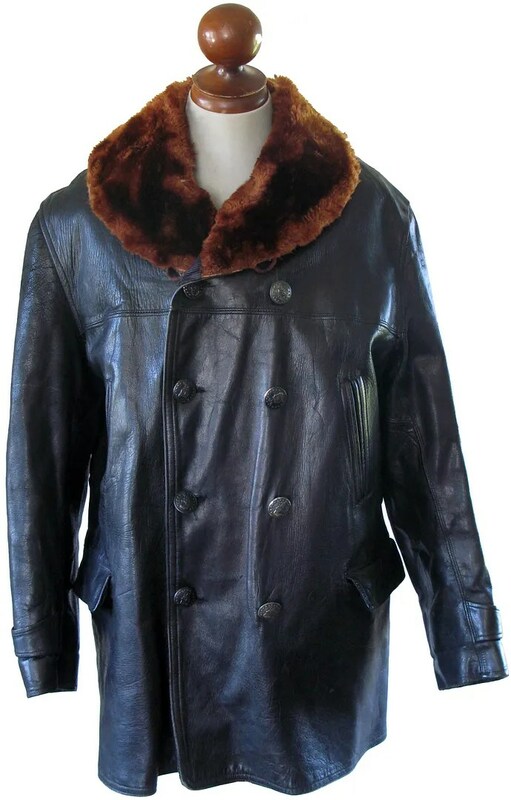 The coat is made of black front quarter horsehide with a brown mouton collar. 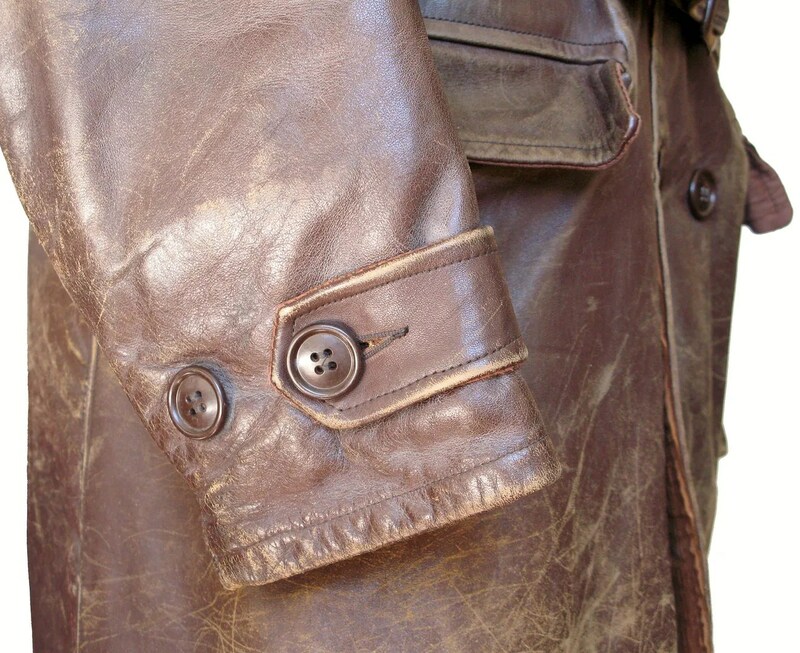 It is double breasted, with a shawl collar, handwarmer pockets and flapped cargo pockets, square yokes front and back and buttoned adjuster belts on the cuffs. 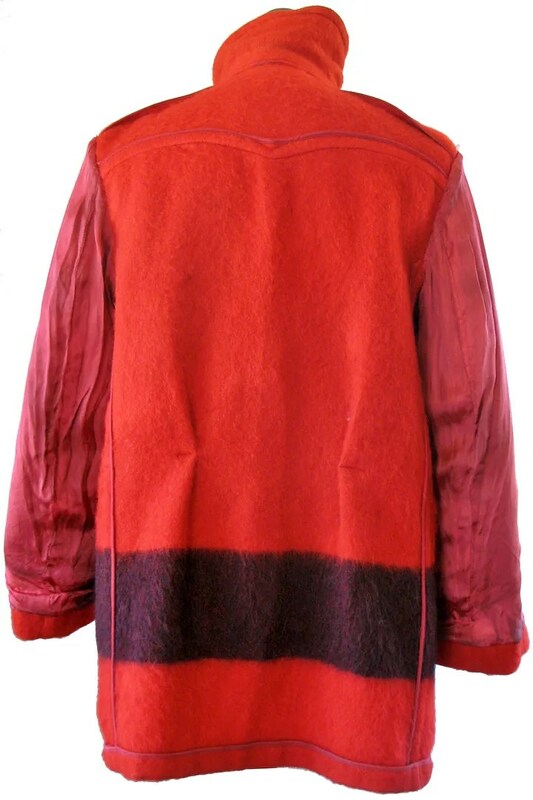 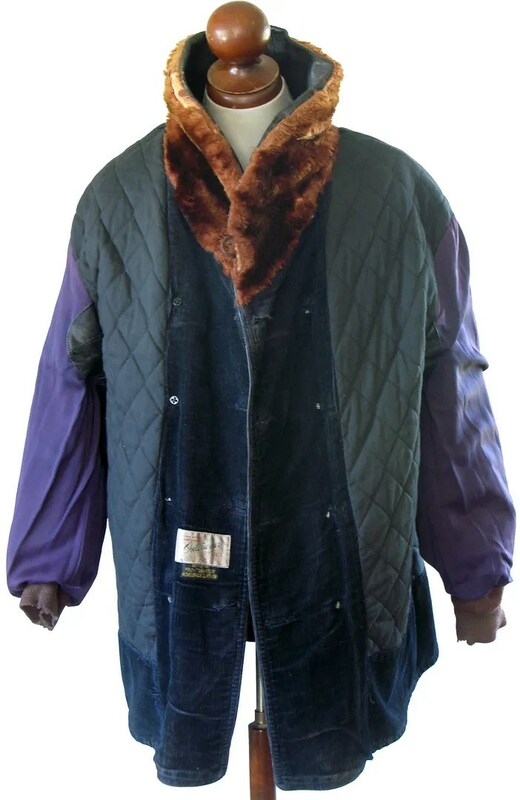 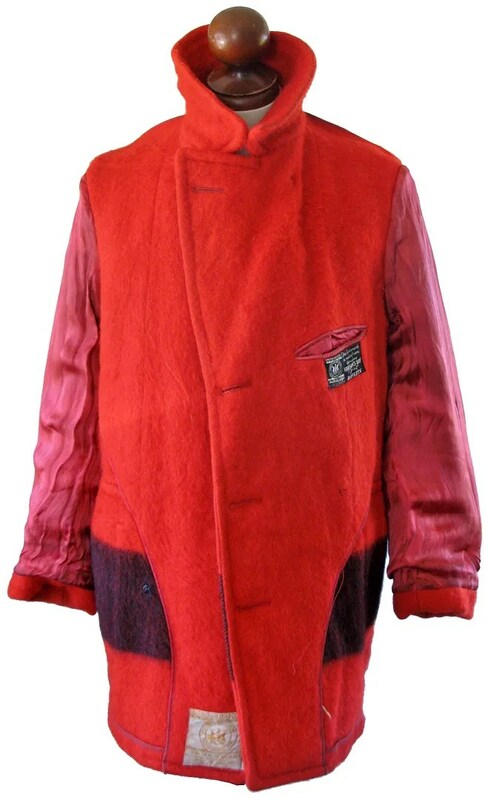 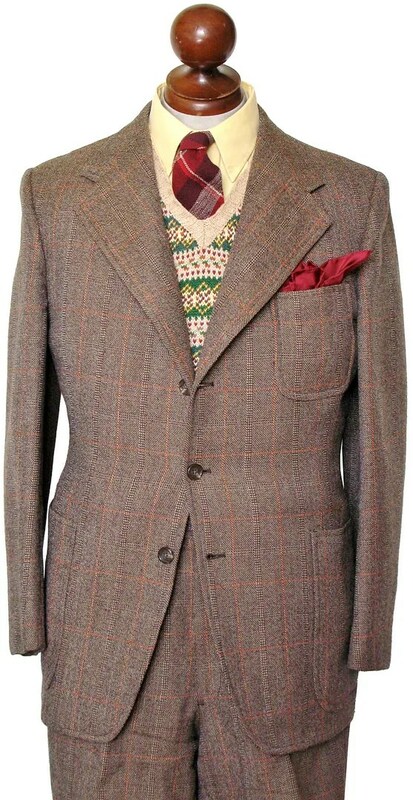 The coat has a quilted cotton lining, lighter in weight than the typical sheepskin lining found in this style coat. 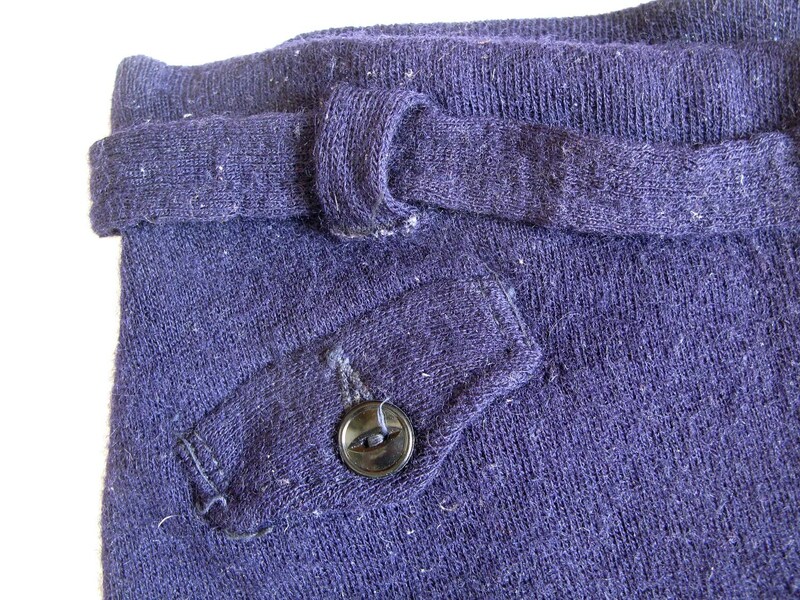 Sleeve linings are purple, and have knitted cuffs to keep the wind out. 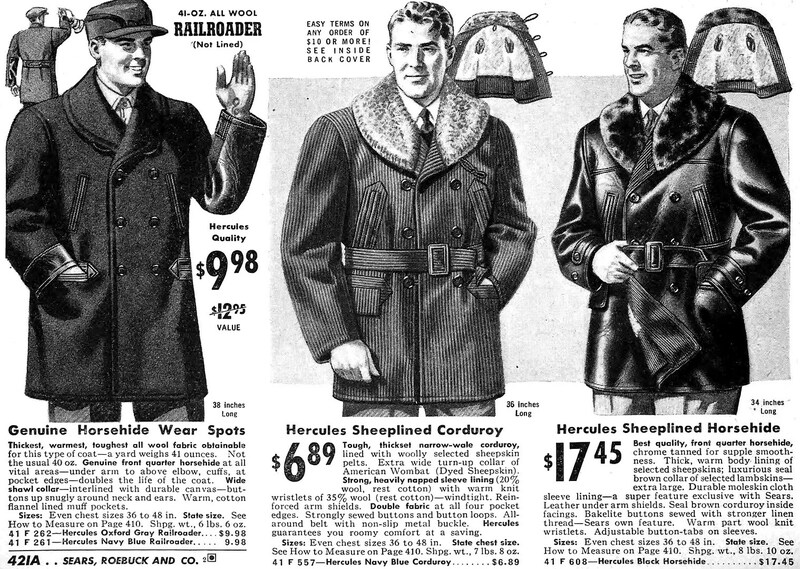 The Hercules label is of the style used in the 1940s, however the last time I can find this model in any Sears catalog is in the Fall 1940 edition. 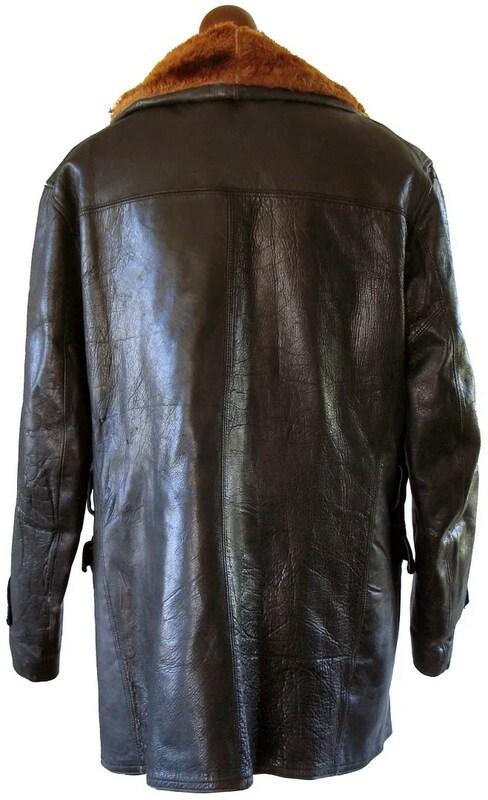 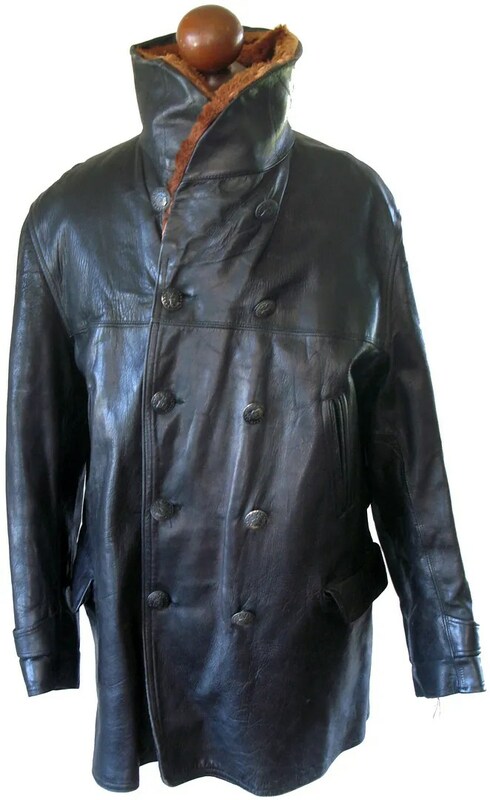 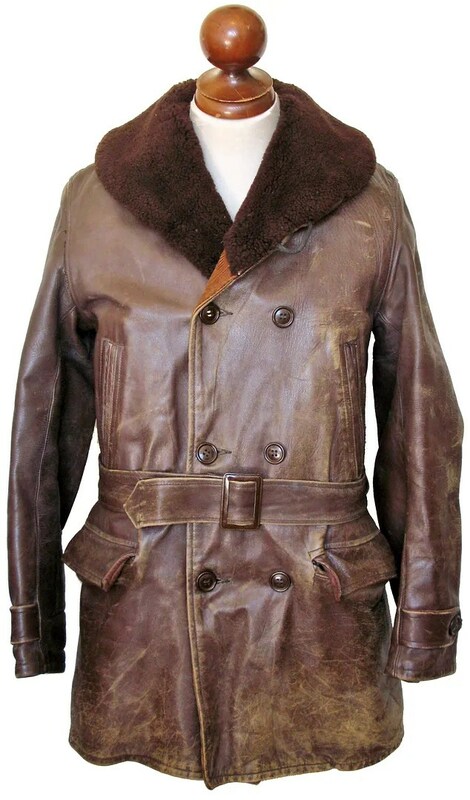 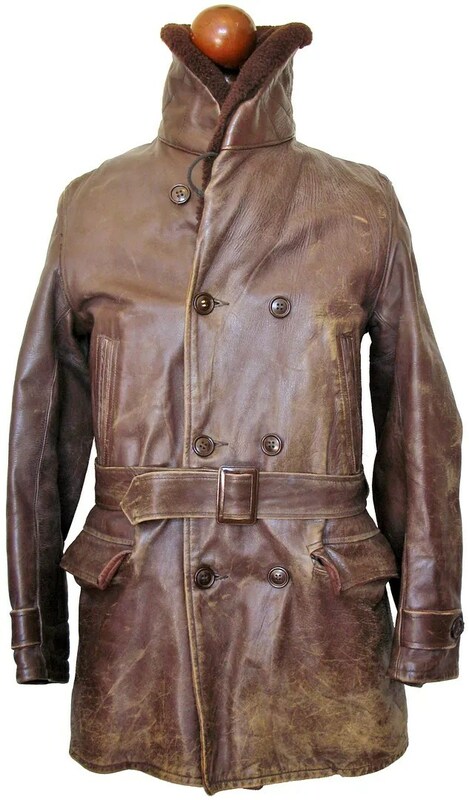 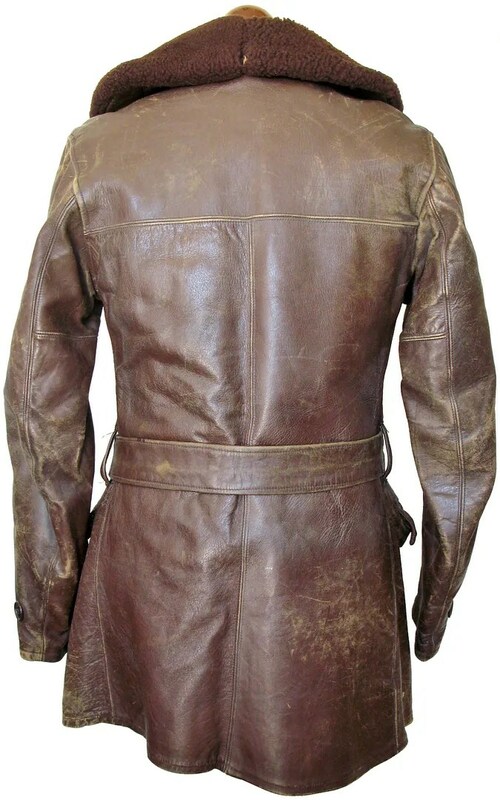 This style of double breasted, shawl collared, hip length leather coat was popular in the 1920s and 1930s and changed very little through its production run. 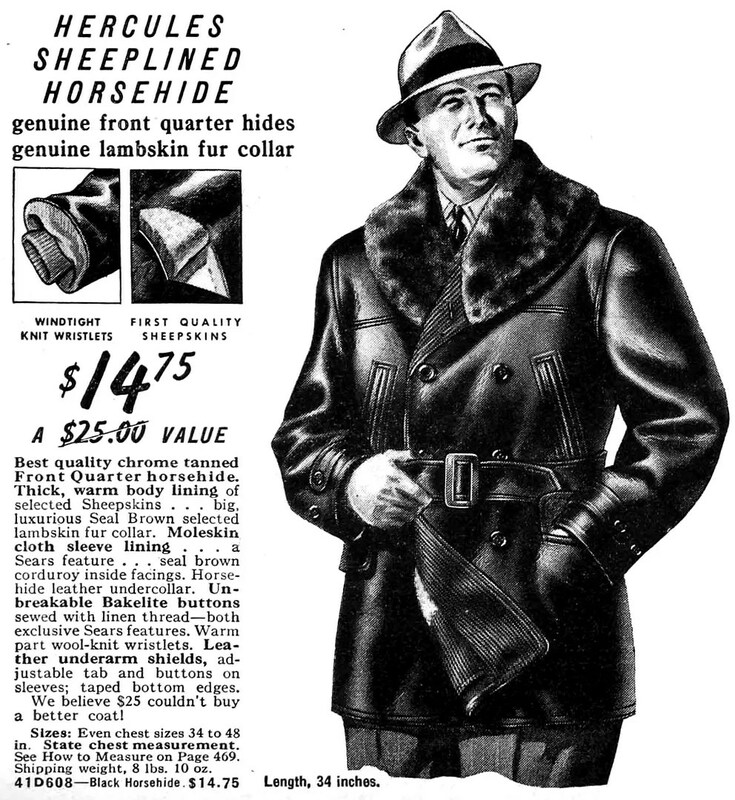 By WWII, this style coat would have been considered old fashioned and was replaced by zip-front sheeplined surcoat style jackets.